We excel at meeting and exceeding expectations in offshore helicopter operations. Call FairLifts at 251-298-8182 now! From the Gulf of Mexico to the North Sea, Persian Gulf and African coasts, helicopters have proven an indispensable resource for the offshore oil and gas industry. In fact, helicopters have been serving producers for over fifty years. Most pilots you see operating offshore helicopter flights are those with decades of experience and many of them are veterans of the armed forces or police force. FairLifts works with these veterans as well as hundreds of other operators globally to deliver you the most professional offshore transport, deliveries, emergency response and onshore services. These services can be scheduled at any time and as an on-demand operator, our partnering facilitators are well versed in last minute or urgent flights to and from Mobile, Alabama. All experienced pilots we arrange your helicopter transport through can complete flights for both IFR and VFR and can travel to most platforms 200+ miles off shore. With FairLifts, you will be assigned a helicopter that fits specifically to your operation and what will be transported. Cost-effective solutions, such as smaller aircraft for transports and mid-sized for cargo deliveries, are available to you so that you are not only increasing your efficiency, but also reducing your expenditure. We schedule a number of different helicopters to respond to the needs of those working on Mobile offshore operations. Some examples include smaller Bell 407’s or 206’s, Twin-Stars and medium Sikorsky S-76’s, Bell 212’s and S-61’s, if heavier lifts are needed. All aircraft we work with are equipped with safety features including floats, rafts, life vests, ELTs, etc. and require stringent procedures to maintain including operating minimums, flight following, and overdue aircraft reporting. In terms of services, the greatest majority of uses for helicopters in the Gulf of Mexico and for offshore purposes is for the safe, fast and efficient transport of crews to and from specialized vessels, drilling rigs, production platforms, and pipeline terminals where the work of producing oil and natural gas is done. We not only schedule these services but also make it our ultimate goal to provide you with experienced service, wider global reach, aircraft flexibility, on-time performance, proven reliability and insider’s knowledge of the tools and logistics of energy extraction, whether in the short or long term. Get your offshore business done faster, seamlessly and in the most cost effective means available with helicopter transports through FairLifts. The Port of Mobile acts as a direct access to waterways spanning 1,500 miles inland up to Ohio and the Tennessee Valleys as well as the Gulf of Mexico. The oil and gas industry here has thrived and shown growth of over 5 million barrels to nine million barrels between 2009 and 2015. While Alabama has developed some of the most stringent environmental regulations regarding offshore drilling it has, in recent years, become one of the top ten states in oil and gas production and within the top 15 for liquid petroleum. Successful drilling across the state has produced over 2.5 billion dollars worth of oil and gas which has contributed greatly to Alabama’s economy. With continual growth in the state, the cost of conducting transport of petroleum products, crews and cargo has increased as well. Which is why FairLifts offers businesses and individuals in the oil and gas industries in Mobile, Alabama with flexible and cost effective options in helicopter transfers for Mobile offshore operations and onshore endeavors. Schedule long or short term transfers of crew and cargo to your offshore drilling platform or vessel. 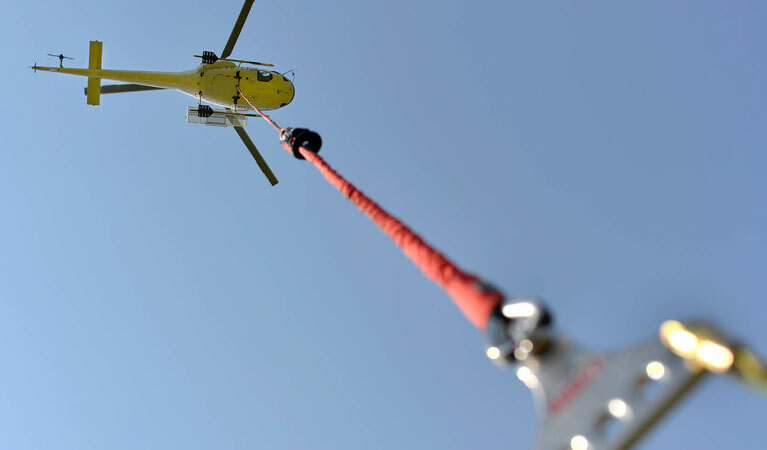 FairLifts schedules helicopter assistance for Mobile offshore operations as well as onshore services as well. From energy product transport, lightering to supply transport to crew and VIP shuttle services, we offer you the most safe and cost effective options in aircraft, availability and customizations to fit your specific mission. The most requested use of helicopters in offshore and petrol industry operations is the safe, reliable and safe transport of crews to and from ships, platforms and remote facilities. We highlight this service simply because it is one we have years of experience in. Deepwater rigs and those ultra-deep can be over 200 miles off the coast and awaiting water transport can take too much time when you need a crew shift, or a specialist right away. Helicopters offer you safe, versatile and cost effective options in personnel transportation, passenger handling, and support major crew changes for vessels. Not only can we arrange your crew transport for the short or long term, we can also schedule specialty transport for executives, supervisors, and investors for one-time shuttles to and from base as well. Get your crew there faster, safer and with the most experienced pilots in the industry with FairLifts. Sometimes you need a part quickly to continue production and a delay can mean the difference in hundreds of barrels of product lost. When you need materials, supplies, components or additional hands, helicopters can deliver them quickly and safely from heliports in Mobile, Alabama. When working on offshore operations, you expect to have on-demand reaction times and flexibility. The offshore helicopter operators we work with can used to move, repair or install heavy equipment transport heavy lift drilling supplies, sling and production rig equipment. Working in the most demanding of environments is not for the faint of heart and the trained crew members aboard offshore platforms can sometimes need immediate assistance. Last minute, emergency and SAR operations can be scheduled in a matter of minutes with FairLifts. The pilots we work with are trained to react at the drop of a dime and respond immediately for SAR, medevac and medical emergencies to deliver your crews to and from onshore medical facilities in Mobile, Alabama or other locations on the Gulf Coast. From assisting in rig construction and component or repair piece placement, final inspections of the base as well as executive or corporate tours of facilities, professional operators working with FairLifts can provide you with the platform service you need. Send potential investors, purchasers, or partners on an aerial tour of the platform or onshore installations easily, anytime. FairLifts offers scheduling and arrangement for more than offshore operations, we also can plan your onshore helicopter assistance as well. 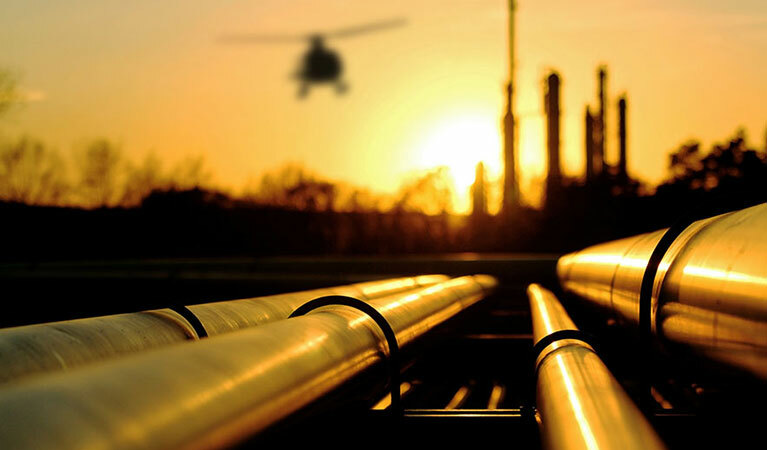 From the heavy lifting of specialty pipeline components, aerial surveys, transfers/shuttles to isolated pipeline facilities and for pipeline inspections as well the transport of petrol products, leave the logistics to us. Your offshore operations from Mobile, Alabama can be more efficient! Experienced agents are available to discuss your project scope and logistics to provide you with professional helicopter service in Mobile and anywhere in Alabama or the Gulf. Giving us a call provides you with more choices in aircraft, specialty customizations for cargo or crew accommodation and open scheduling for IFR and VFR operations. Simply contact us via telephone or by navigating to our contact page to fill out our online form.